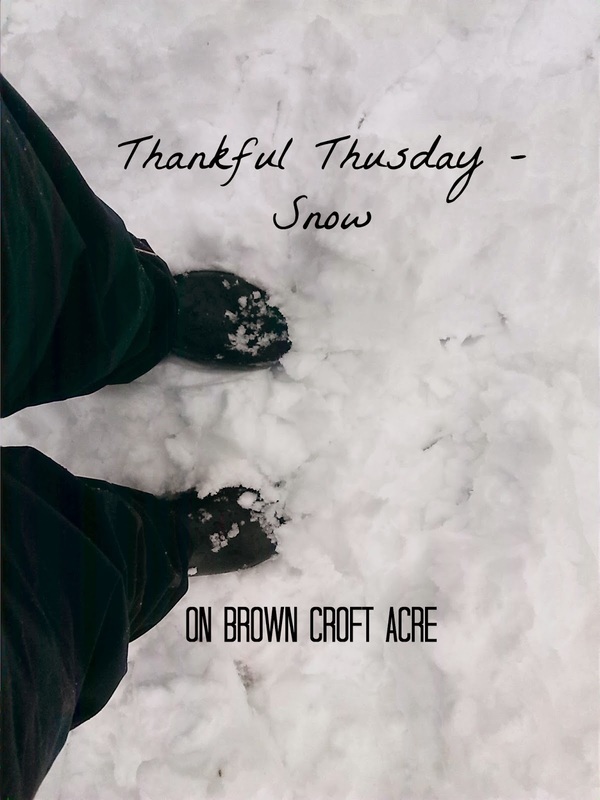 And I'm thankful for the snow today. I'm also thankful for the snowpants that my sister just found in her room and gave to me yesterday. I planned to buy snowpants so that I could have fun with the boys this winter, but we never got around to it. Today, we built a snowman for the first time this year. 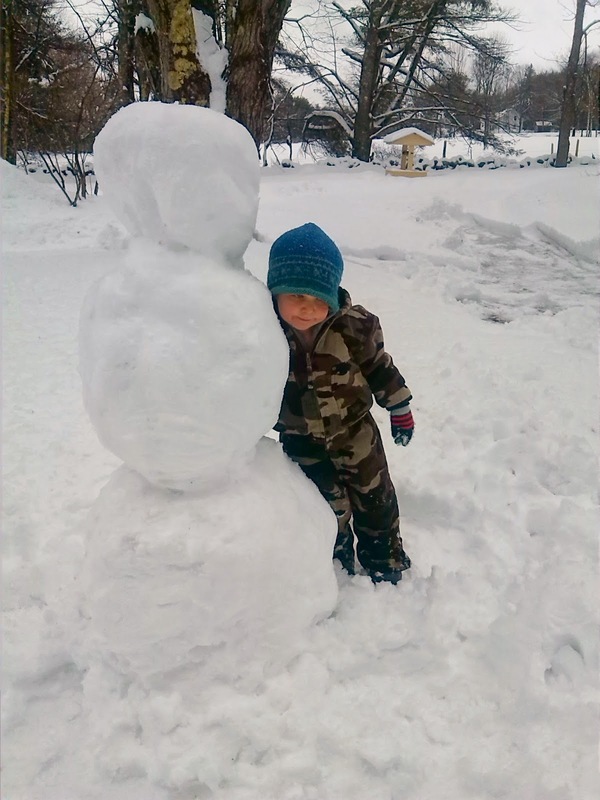 Noah hugged a snowman. And we had fun throwing snow balls at each other. The fresh snow was perfect and it was wonderful to enjoy this with the boys. 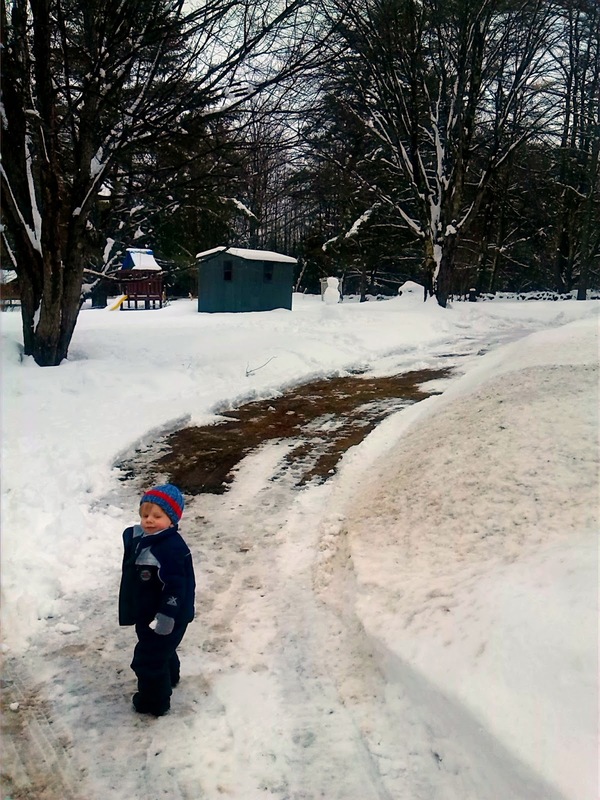 Noah willingly came in for hot chocolate, but Isaac would have rather stayed outside all day. Noah mixed hot cocoa for everyone and we had lunch with Auntie Lissa before she headed back to CT. It was a sweet, snowy day. What did you do on the first day of spring? Your comments always bring me a smile! There are so many things to be thankful for. Sometimes I just have to realize it. Having so much snow is definitely hard, but it gave a sweet opportunity that I could have lost. The boys will only be this old once. I've got to cherish it all.